On June 1, 1910, my great grandma and her twin brother were born in Romania. They came from a family of 12. The family wanted to leave Romania, so they made plans to travel in 1912 on the Titanic. Great grandma's twin brother was very sick, so they would not let him on the ship. He died later that year. If her family did get on the Titanic this might have been the end of the story because we all know that the ship hit an iceberg and many people died. Why Leave the Old Country? My great great grandparents wanted to get out of Romania to provide their family with a better life. Romania was having political problems and it wasn't safe. They also wanted to head to a new area that had better weather. They wanted a place where the family could be free from harm. 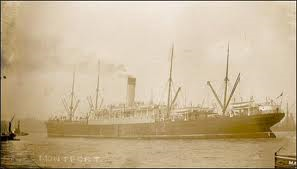 On April 2, 1913, my great grandma's family were in Belgium waiting to leave on the S.S. Montfort. 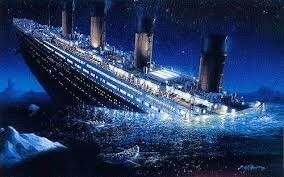 They had a 12 day sail before they arrived in New Brunswick, Canada, on April 14, 1913. This was a large passenger/cargo ship and it was very crowded. The only language that the family spoke was German. My great grandma learned to speak English after she moved here. 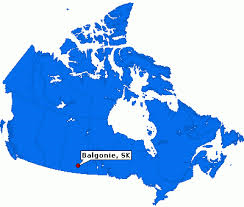 The family made their way to Balgoni, Saskatchewan, where they settled on a farm and my great great grandfather and his children worked hard building a life for themselves. My great great grandfather never learned to speak English so his children had to do the talking for him when he had to meet with bankers and store keepers. When they got to Saskatchewan they found a homestead to live on and they began farming on the prairies. Times were tough, but they all worked hard together. The boys worked on the farm and the girls helped their mother in the house and gardening. War was coming in Romania, so the family needed to get out. In July 1913 Romania declared war on Bulgaria. If my great grandmother and her family were leaving Romania today, they would have more help as immigrants coming to Canada. They would be among other people who have immigrated here and they would get assistance from the government to find housing, and medical assistance and jobs. There jouney here would have been on a much nicer ship and they would have been more comfortable. They might have even came by airplane if they immigrated today.